Looking for Thanksgiving coloring pages to keep the kids busy and creative while you’re cooking the turkey or driving the car to Grandma’s house? Here’s a roundup of some of our favorite Thanksgiving coloring pages for you to download. 1. Thanksgiving Dinner Coloring Page from What’s in the Bible? Download this free Thanksgiving dinner coloring page. 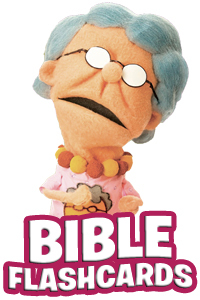 Do you recognize this scene from one of the What’s in the Bible? DVDs? 2. Thanksgiving Bible Verse Coloring Page from What’s in the Bible? 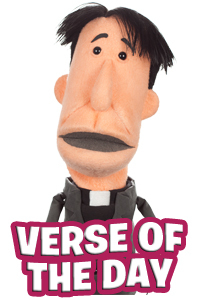 Download this free Bible verse coloring page that shares Psalm 107:1 featuring Sunday School Lady from What’s in the Bible?. Our friends at JellyTelly have an adorable Thanksgiving coloring page featuring Wendell the JellyTelly jellyfish! This free coloring page celebrates the season with 2 of everyone’s favorite characters from Peanuts! 5. Coloring and Activity placement from Embellish. This 16×12 activity placemat doubles as a fun activity and functional gravy-guard for your table! 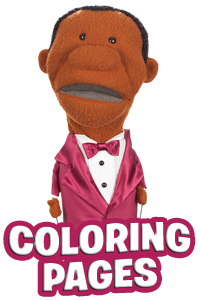 This simple coloring sheet makes a great activity for the wee little ones! 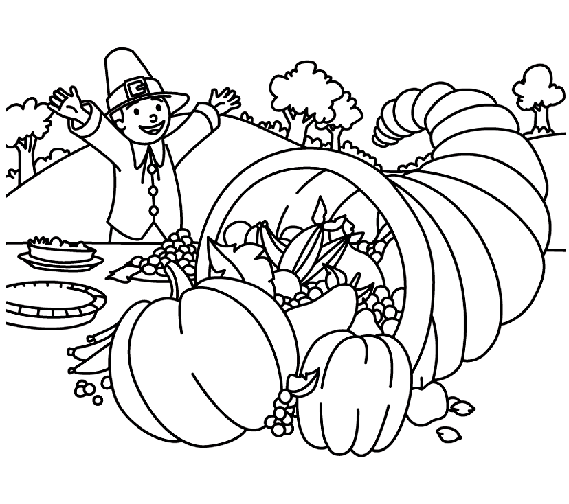 This cute free pilgrim and cornucopia coloring page is perfect for Thanksgiving! This free coloring page from our friends at ministry-to-children.com is a great reminder to give our thanks to God this Thanksgiving. It even includes a second page with leaves to write in what you are thankful for – and then glue them on the tree! This free coloring page has a blank box where kids can draw what they are thankful for this Thanksgiving. We love this gobble-gobble turkey coloring page from Parents.com! Perfect!!! I will keep you around a little longer!!! Kelly McConnell here are some great pages to use in the busy bags!